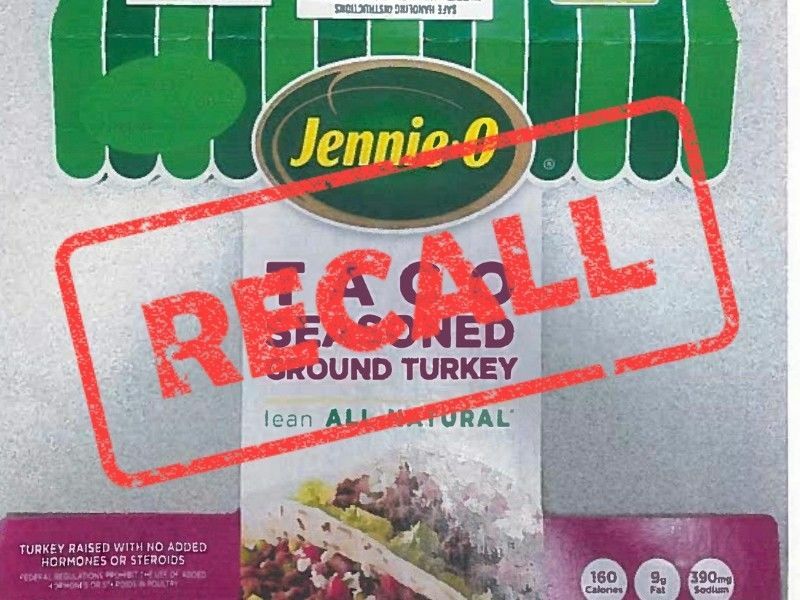 Jennie-O Turkey Store Sales, LLC, a Barron, Wis. establishment, is recalling approximately 91,388 pounds of raw ground turkey products that may be associated with an illness outbreak of Salmonella Reading, the U.S. Department of Agriculture’s Food Safety and Inspection Service (FSIS) announced today. FSIS, and its public health partners, including the Centers for Disease Control and Prevention (CDC) and the Arizona Department of Health Services, have been conducting traceback activities for a sample of Jennie-O brand ground turkey in an intact, unopened package from a case-patient’s home. The patient tested positive for Salmonella Reading and the sample from the ground turkey matches the outbreak strain. FSIS, the CDC, and state public health and agriculture partners, have been working together on an illness cluster involving 164 case-patients in 35 states. Patients have reported eating different types and brands of turkey products purchased from many different stores, handling raw turkey pet food and/or raw turkey, or working with live turkeys or living with someone who handled live turkeys. FSIS continues to work with the CDC and state health departments on this investigation and will provide updated information as it becomes available. Based on the continuing investigation, additional product from other companies may also be recalled. Consumption of food contaminated with Salmonella can cause salmonellosis, one of the most common bacterial foodborne illnesses. The most common symptoms of salmonellosis are diarrhea, abdominal cramps, and fever within 12 to 72 hours after eating the contaminated product. The illness usually lasts 4 to 7 days. Most people recover without treatment. In some persons, however, the diarrhea may be so severe that the patient needs to be hospitalized. Older adults, infants, and persons with weakened immune systems are more likely to develop a severe illness. Individuals concerned about an illness should contact their health care provider. Clean—Wash hands and surfaces often. Separate—Separate raw meat from other foods. Cook—Cook to the right temperature. Consumers with questions regarding the recall can contact Jennie-O Consumer Engagement Team at 1-800-621-3505, 8 a.m. – 4 p.m. Central Time Monday – Friday and 9 a.m. – 5 p.m. Central Time Saturday and Sunday. Media with questions can contact media@hormel.com or 507-434-6352.